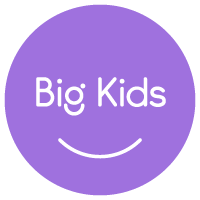 The Music Together Big Kids Program helps your child take a next step in musicdevelopment by blending the elements of Music Together® that parents and children love with new activities, skills, and challenges that are developmentally appropriate for 5- through 7-year-old children. Through family music-making, Music Together mixed-age classes support the development of tonal and rhythm competence for infants through 4-year-old children. In contrast, Big Kids classes lay the foundation for Basic Music Literacy, complementing formal music instruction in school or in private instrument lessons, as well as a lifetime of joyful music making. 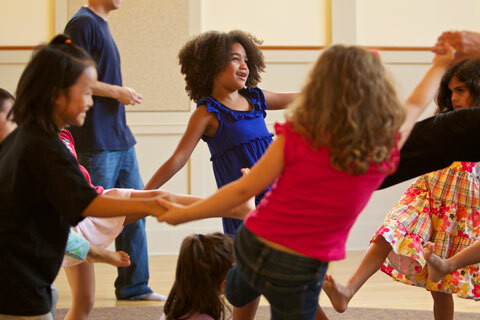 Music Together Big Kids is a music and movement class especially developed for your five- to seven-year-old's abilities and needs. We understand that children at this age thrive in a structured environment but still like to get a little silly. In our Big Kids class, your child has the opportunity to learn and play with others, while building leadership and decision-making skills at the same time. Each semester's song collection is based on songs from the collection being used in our other family classes—yet Big Kids have their own recording, songbook, and other materials made especially for their new abilities and interests. Continue the music learning for your big kid! • Classes are 45 minutes long and meet weekly for ten weeks. • During class, children learn musical skills and appreciation through a special Music Together curriculum developed just for 5-, 6-, and 7-year-olds. Every family enrolled in class receives a Music Together Big Kids edition songbook with activities specially created for 5–7-year-olds, a cd, access to the new Family Fun Zone where you can download the music, and weekly HomePlay activity pages. • Younger children are not developmentally ready for the structure of a Big Kids class. To be eligible, your child must have turned 5 by the first day of class. • While this can be a "drop-off" class, you (or another caregiver) should plan to attend the first and last class of the semester. You may attend any and all classes if you wish. However, due to the structure of the Big Kids class, we cannot accommodate younger siblings (except for babies younger than eight months). You and any younger siblings are welcome and encouraged to join the last 10 minutes of every class. information about upcoming classes, please contact us!